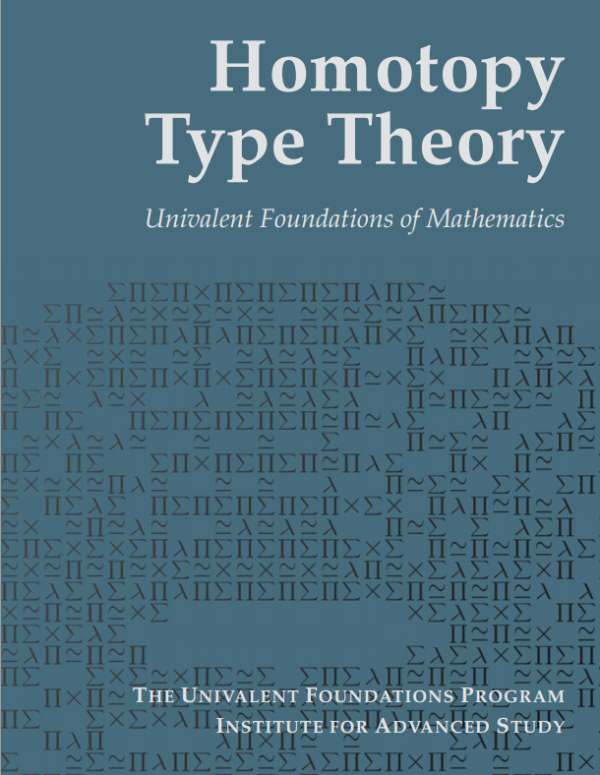 The Homotopy Type Theory book was an ambitious attempt to relay the foundations of maths on a combination of type theory and topology. It also makes heavy use of computer proof-checking, which might be why the US Department of Defense is interested in it: they’ve just given Carnegie Mellon University’s Steve Awodey $7.5 million to continue the project. The MURI [Multidisciplinary University Research Initiative] award, officially entitled “Homotopy Type Theory: Unified Foundations of Mathematics and Computation,” is through the Air Force Office of Scientific Research. It will establish CMU as the international center of research in this new field, which uses a fusion of tools drawn from abstract mathematics, such as homotopy and category theory, and the powerful computational paradigms of type theory and program verification. The resulting new, computational foundation for mathematics is not only an important theoretical advance. It also promises to provide a useful practical tool for mathematicians and other scientists in the form of powerful computer systems that can automatically verify the correctness of large and complex mathematical proofs and organize and unify a large body of verified mathematical theory in a form that can be reused for other scientific purposes. Equally important is the promise of new applications in theoretical computer science through the use of abstract geometrical intuitions and methods.